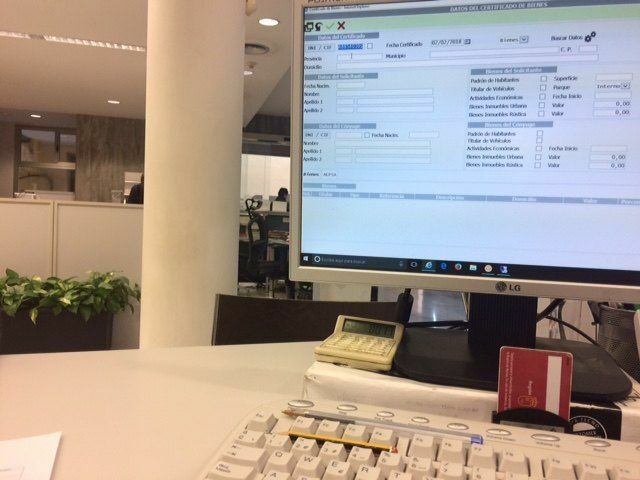 The Local Government Board has recently approved to award the company "Espublico Services for Administration, SA", with registered office in Zaragoza, the implementation of a service for the implementation, training, access, maintenance and documentary custody in a Platform Comprehensive Electronic Administration in the City of Totana. The proposal of the council of Finance and Contracting, Ana María Cánovas, included the awarding of the service because it was the only admitted bidder that has submitted an offer in accordance with the requirements demanded in the specifications that governed the procedure. The initiative had been promoted through the Department of Citizen Services and Human Resources, given that the totanero Consistory currently does not have the human resources or material resources to carry out this service, so it is necessary to hire. The procedure included the operation of the necessary tools for the management of administrative processes tending to modernize and adapt them, in order to respond to the established legal requirements. and Royal Decree 3/2010, National Security Scheme in the field of Electronic Administration. and the budget that will serve as the bidding base for the duration of the contract amounts to the amount of 165,000 euros, VAT excluded. The service object of this contract will be financed by the City of Totana. 1. Internal (Municipal employees): Implementation of applications that facilitate the processing of administrative procedures electronically, integrating the Entry / Exit registry, the management of municipal government bodies by Secretariat and the management and monitoring of administrative files , using the digital signature in all those situations in which it is necessary. 2. External (Citizenship): Creation of the electronic headquarters that enables the City Council to offer electronic services, aimed at both citizens and businesses, allowing adaptation to Law 39/2015, of October 1, of the Procedure Common Administration of Public Administrations and Law 40/2015, of October 1, on the Legal Regime of the Public Sector. 3. Interoperability: Incorporation of systems that streamline the use or synchronization of information between the different platforms that are available to the City, whether local, regional or national, in order to optimize the available resources thanks to the benefits that It provides the use of technology. The services contracted and described below will have to be provided in the SaaS mode (software as a service), which means that this entity will not have to make any investment in the installation or provision of its own systems infrastructures. 1. Implementation: Providing the telephone, telematic and face-to-face advice and support required for the incorporation into the electronic Administration platform of the specific characteristics of the Totana City Council (logos, headings, footers, etc. ), its configuration according to the parameters decided by this one and its putting in operation until its full operation by all the organs and municipal administrative units. 2. Training: Of the public employees and authorities that are going to use the electronic Administration platform to allow its implementation in the indicated terms. 3. Access: Of an unlimited number of users with different levels of permits, with the minimum technical and functional characteristics indicated in this PCT. 4. Maintenance: Providing an unlimited and free support service by phone, at least during working hours from Monday to Friday, from 08:00 to 15:00, as well as by email. 5. Documentary custody: With a backup at least daily, which must contain the storage of all documents generated during the term of the contract, as well as related information. The platform will be accessible to all users through the Internet and will guarantee compatibility with the standards or recommendations published by the W3C (Word Wide Web Consortium), allowing the correct functioning in the most used browsers and operating systems, in their latest versions. Likewise, the document includes security requirements, Entry / Exit Registration, Security, Document Management and Administrative Procedures, Electronic Signature, Electronic Headquarters, Interoperability, among other matters.